When the Berlin Wall fell 25 years ago, it meant Russia wouldn’t be able to dominate eastern Europe as it had. 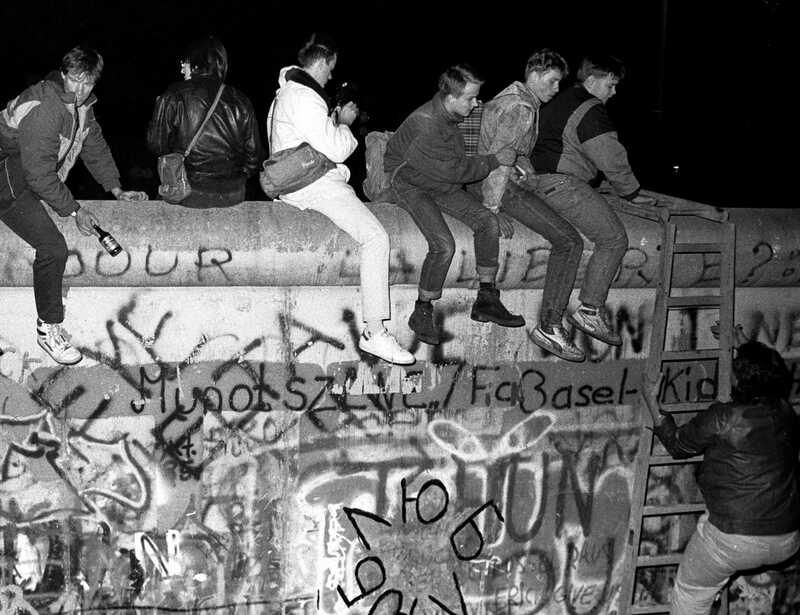 The historic fall on Nov. 9, 1989 also meant European democracies would no longer have to worry about a hostile superpower looming over their neighbourhood. 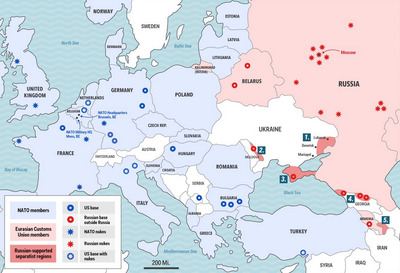 That held until this year, when Russia reverted to many of its Cold War-era policies. Vladimir Putin’s annexation of Crimea and support for an armed separatist rebellion in eastern Ukraine represent a crucial reversal, even though they’re far from a full restoration of Russia’s former reach. To be sure, Putin’s aggressive policies in 2014 did not erase the progress that began in 1989. Eastern Europe enjoys remarkable political freedom and national sovereignty compared to a quarter-century ago. It is true that there have been some tough spots since then: Hungary is backsliding into autocracy and the years after 1989 have seen armed conflict in Moldova, Georgia, Azerbaijan, the former Yugoslavia, and now Ukraine. 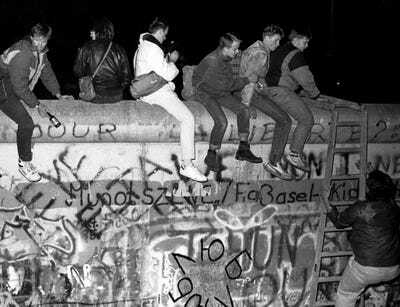 But 11 European countries that were socialist autocracies the day the wall fell are now in the EU and 13 are in NATO. Vladimir Putin can’t do anything to change that — even though he’s embarked on an alarming return to the Cold War playbook over the past year. There’s his cultivation of his own personal “class of 1937,” a corps of totally loyal young professionals and civil servants from conservative or peripheral regions of the country modelled after a similar, Stalin-led effort. There’s his anti-US rhetoric that goes beyond the purview of policy disagreement, like Putin’s attacks on American democracy during a speech in Sochi last month. There’s Putin’s global misinformation campaign, culminating in Kremlin media attempts to whitewash the cause of the crash of a commercial airliner over eastern Ukraine in July — a tragedy that was almost certainly the fault of pro-Moscow separatists, carried out with Russian-supplied weaponry. Most typical of the Soviet toolset is Putin’s recourse to violence to push his objectives forward or resolve the crisis of the moment — regardless of what’s permissible under normative international relations or international law. Thus, the constitutional replacement of a pro-Kremlin leader in Kiev this past February led to Putin’s illegal annexation of Crimea. The shoot-down of MH17 and the sectoral EU and US sanctions that followed were met with the invasion of eastern Ukraine by an estimated 5,000 Russian troops in August. Putin hasn’t dealt with Russia’s diplomatic, political, and economic isolation through compromise or moderation but through even greater belligerence — the kidnapping of an Estonian intelligence agent, the deployment of a submarine to Swedish territorial waters, scores of violations of NATO airspace, veiled threats of the possible use of tactical nuclear weapons. The Berlin Wall has long fallen. The world, and eastern Europe in particular, is in a better place today than it was 25 years ago because of it. But Putin has reached back to the oppositional politics of the Cold War era, returning Europe to a time in which an aggressive and revisionist Russia is willing to use its military advantages over its neighbours to project its power west. The front line is several hundred miles east of where it was on Nov. 9, 1989. But even if it’s on a more limited scale or confined to a different sector of the map, the overall power dynamic that the Wall starkly and dramatically symbolized for nearly three decades is making a troubling comeback.